Sick of your batteries dying at the very moment you need to make a call, flick on a flashlight, or find your position on a GPS when you are lost in the outdoors? Introducing the Voltmaker– an innovative and rapid kinetic electricity generator inspired by a fan or ratchet system. 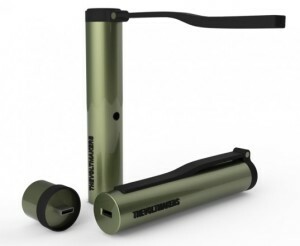 The Voltmaker is ideal for hikers and those who are constantly on the move – when you need a charge, simply extend the Voltmaker’s arm and give it a whirl to generate a steady source of energy. Small and compact, the device tucks away nicely in your backpack, handbag, glove box or even your jacket pocket ready to save the day.